Last updated: October 1, 2009 at 3:39 pm. Posted Thursday, September 24, 2009 by Las Vegas Blog Staff in Caesars Entertainment, Gaming, Las Vegas Casinos, Things to Do in Las Vegas. 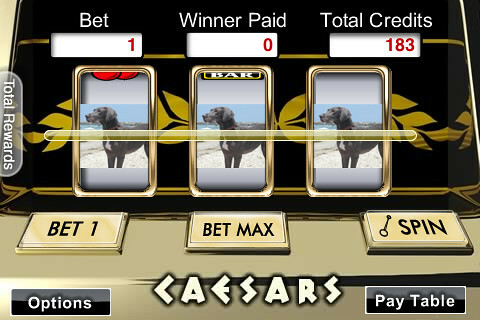 1 Comment on Free, Slot-Inspired App for iPhone: iSpin. Here’s another exclusive Pulse of Vegas blog scoop! We love saying things are a “scoop” because it almost makes it seem like there’s actual journalism involved. "Free" and "app" just sound so good together. iSpin has true-to-life casino sounds, and you can customize the game “skins” using graphics from your favorite real-world casinos like Harrah’s, Caesars Palace, Rio, Paris, Flamingo and others. Shake your iPhone to spin the reels. Freaky cool. 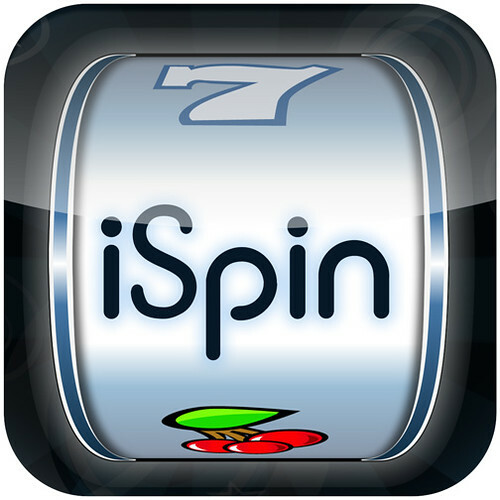 iSpin gives you a way to keep track of your high scores and allows for multiple players on the same iPhone or iPod Touch. Yes, it's just for fun. And, yes, imaginary winnings are still fun! 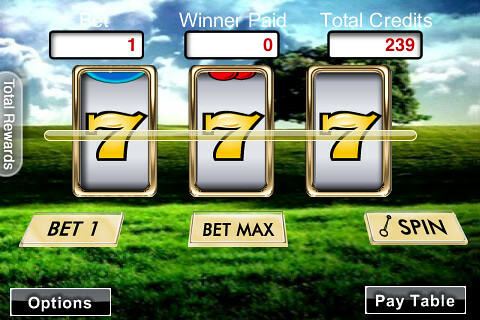 iSpin is especially useful for Total Rewards members. 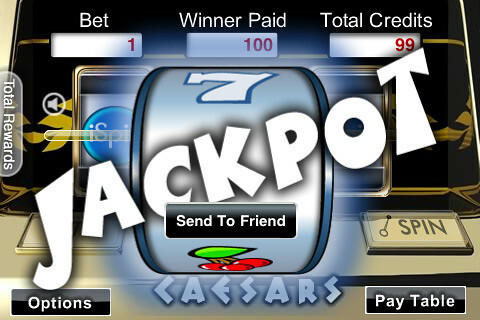 Members can use iSpin to log into their Total Rewards accounts to view their Tier Score, Reward Credits balances, etc. Maybe you should learn a bit more about this Total Rewards thing, huh? Go here. You’ll love personalizing your slot machine’s reels, as in the photo below. No animals were harmed in the customizing of these reels. Take your favorite casino with you, wherever you go. It’s free. It’s fun. And remember, you heard it here first. Learn more here, then download it! Have a blast!